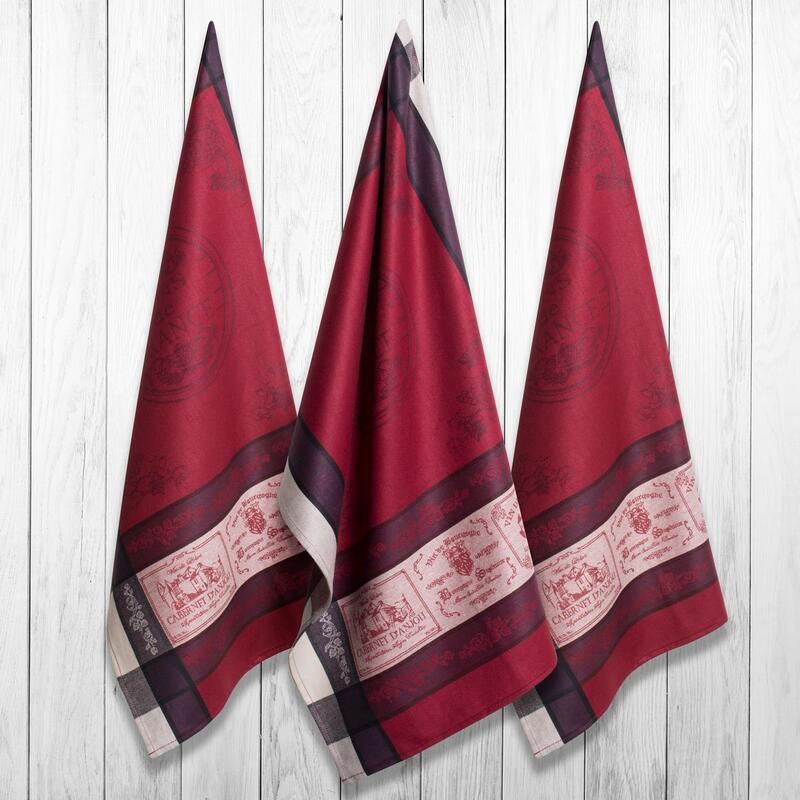 QUALITY ASSURANCE, LONG-LASTING MATERIAL: Tightly woven 100% Cotton fabric which last long and can hold up to your washings - Purchase confidently. ULTRA ABSORBENT AND LOW LINT: These towels are lightweight, super absorbent and dry quickly; Machine washable and durable for daily use –Get the job done quickly the RIGHT way with our Dish Towels! WASHING TIPS: Wash with Cold Water in Gentle Cycle & Tumble Dry Low. For best results, wash separately on first use to minimize lint. 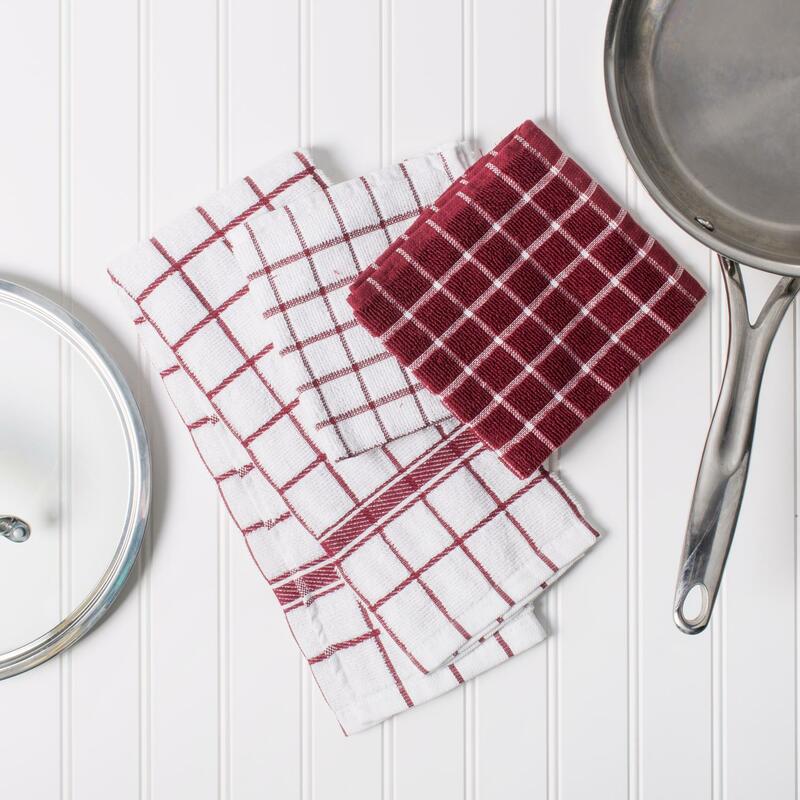 DII's Solid Waffle Dish Towels set are customers’ all-time-favor. 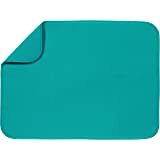 DII offers these dish towels set at an affordable price with high quality. 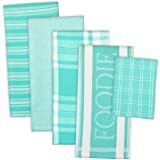 These Dish towels sets are 100% cotton; the classic design coordinates with most kitchen décor, these dishtowels are a great basic kitchen essential with multiple colors for your choices to mix and match with your home and kitchen. With each wash, these towels become more absorbent, helping to clean up even the biggest. They’re handy for mopping up in the kitchen or anywhere spills occur. These dish towels air dry quickly for ready to use again in no time. DII dishtowels are made with high quality cotton with tight knit allow for less lint on your glass or plates. The perfect dishtowel for your daily kitchen use for holding up to your tough kitchen grease, dirt, food and more. The material and construction provides a long lasting Dish Towels that you can use over and over again. 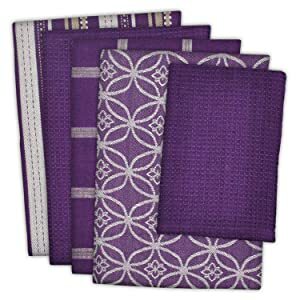 Design Imports provides an assortment of dishtowels and dishcloths perfect for any theme, occasion, and season. With the variety of colors, and designs offered, you are sure to find the perfect color combination for your kitchen. We offer printed terry towels, beautiful jacquard dishtowels, trendy designed towels, adorable embroidered towels, and so much more. 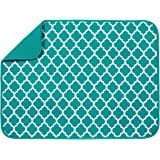 Design Imports, DII, is a creator of fashionable, fun, and functional kitchen textiles, table linens, gifts, and decorative accessories for the home. DII’s kitchen dish towels and dish cloths are a great way to welcome new neighbors and giveaway as host and hostess gifts. DII offers a full collection of trend-based designs for all through the year. Incorporating the hottest colors and themes, DII brings you a fresh, innovative line of kitchen products, tabletop, gifts, and home decor for every season, every holiday and everyone. DII offers varies collections of Basic Kitchen Towels such as Zig Zag Dish Cloths/Dish Towels, Solid Waffle Dish Towels, Flat Woven Dish towels, Chef Terry Dish Cloth/Dish Towels and Barmop Chevron Dish Towels which can tackle all your dirty works in the home and kitchen. If you love craft/DIY projects you definitely will love our Basic Dish Cloths and Dish Towels which provide you the easy monogramming 100% cotton fabric for all handing projects. 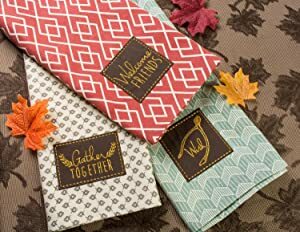 Whether is for birthday gifts, holidays’ gifts or housewarming gifts, you can always create and add personalized monogramming logo with DII’s every day Basic Dish Cloths and Dish Towels. More new collections are on the way! 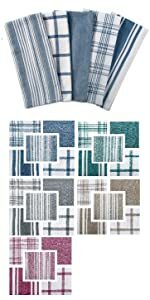 DII's Windowpane Dish Cloths and Dish Towel set are customers’ all-time-favor. 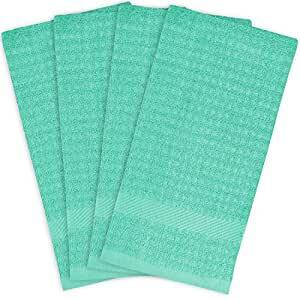 DII offers these dish cloths and dish towels at an affordable price with high quality. 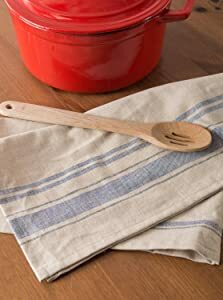 We are also honored to have our windowpane dish cloth selected in Amazon’s Choice program. 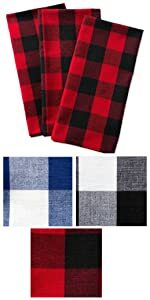 These Dish cloths and Dish towels sets are 100% cotton; the classic design coordinates with most kitchen décor, these dishtowels are a great basic kitchen essential with multiple colors for your choices to mix and match with your home and kitchen. With each wash, these towels become more absorbent, helping to clean up even the biggest. They’re handy for mopping up in the kitchen or anywhere spills occur. These dish towels air dry quickly for ready to use again in no time. 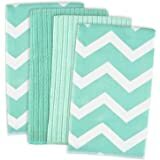 DII 100% cotton, machine washable 5-piece everyday kitchen dishtowel set, includes 4 dishtowels and 1 dishcloth. These sets are perfect to coordinate your kitchen or give as a hostess or housewarming gift. Each dishtowel is oversized, measuring 18 x 28" and dishcloth measures 12 x 12”. 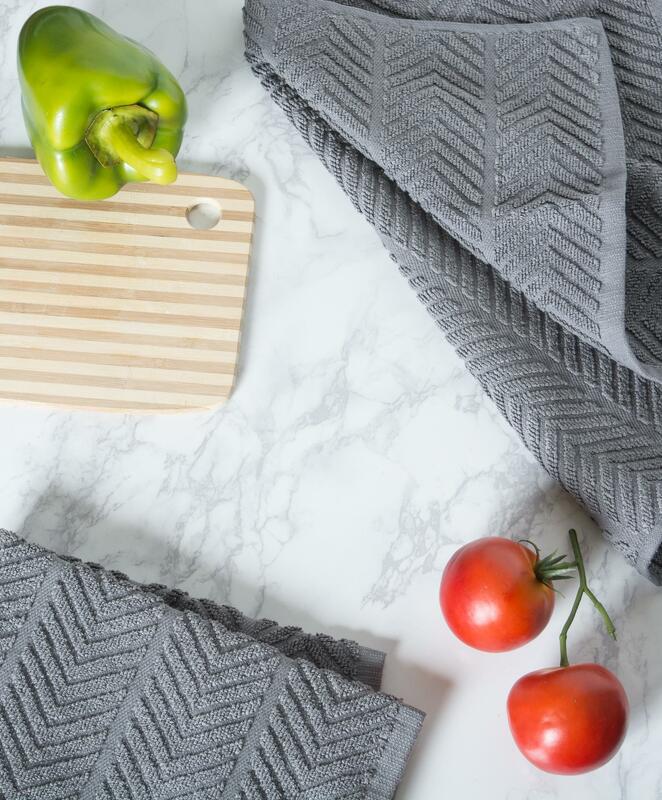 The Oversized dishtowel makes sure dishes and countertops are dry while the dishcloth ensures everything is scrubbed down. Our sets are available in a variety of colors. Decorate your kitchen for the festivities, food, and fun! DII provides high quality dishtowels for every occasion and season such as Christmas, Thanksgiving, St. Patrick’s Day, 4th of July, & Easter. Our embroidered and printed dishtowels are wonderful, decorative pieces to showcase in your kitchen or give as a gift. The quality of our embroidery is top-notch and you’ll be pleased with the detail we put into it. Sometimes adding a little flourish with a needle and thread adds the perfect finishing touch we hope you’ll enjoy. DII always stay on top of the latest style and look for kitchen items in order to present the best products to our customers. Design Imports has great collections for trendy dishtowels available to meet the demands. We offer French printed towels, French Jacquard towels, chevron ombre towels, neon towels, and more new products on the way! You are sure to find a style to mix and match with your home and kitchen décor. DII's French Stripe cotton dishtowels are great for drying dishes or cleaning up your counter and even being use as flour sake towels. These towels are perfect to use as a decorative piece or to clean and dry. The classic, old fashioned design makes these dishtowels a wonderful addition for your kitchen as they coordinate with most kitchen décor. 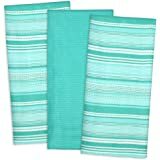 DII French Stripe Dishtowels also coordinate well with our sophisticated French stripe collection for your kitchen. DII French Stripe Kitchen collection includes Apron, Dish Towels, and Oven Mitts and Potholder Sets. The French Stripe Collection adds a subtle elegance to your home with this simple design with different color selections. 3 colors available, with cohesive collection with Apron, Dish Towels, Pot Holders and Oven Mitts Set. Classic Buffalo Check design is perfect to accent your decor. 5 Colors Available. 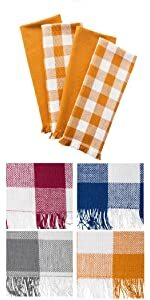 DII Assorted Professional Grade Dish Towels are must-own kitchen essentials for every household. The 5 piece set come with different woven design in varies color options. They are function yet a great decoration in your kitchen. 4 colors available, with cohesive collection with Dish Towels and Dish Cloths. These vibrant colors and check design are perfect to add a pop of color to any kitchen. 1.0 out of 5 starsUltra Absorbent? Pffffffffffft! Not! How is this "Ultra Absorbent"???? The towel actually repels water. So disappointed.I absolutely do not recommend this product. 34 people found this helpful. Disappointed by quality... Even though I followed the care instructions for their first wash, while using them they leave tons of black lint everywhere! I got them for drying dishes, plates or to clean my pink countertop... but all surfaces, plates, cups, etc end up full of black lint ! 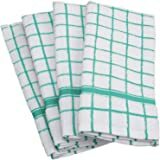 I have used a similar dishtowel by Room Essentials for more than 10 years and I have never experience such a thing; this time I wanted to try buying though Amazon and when I found this product I though it would be the same quality as the one I was used to, but it turned out completely different. 24 people found this helpful. *They shed like crazy in the dryer. The lint catch is very full and any other items in the dryer will be covered in black lint. *And they shed when you dry your hands. You'll be left with black fuzzies all over your hands. Gross. *They do not absorb liquid, which is sort of their entire point. *They aren't durable at all. The weave is lose and is easily snagged. Unsurprisingly, their time in my kitchen was very short. They are now in the rag pile. Looked good coming out of packing, but the fabric is of a much lighter weight than the price implies. More on the order of an inexpensive tea towel fashioned from terry cloth. Flimsy enough weave to see light when held up to window. Washed before use per instructions and temps, hems rucked upon completion. I really don't expect much use from them over time. At $3.00 + per towel, this item is selling for more than double it's value. Lacks in every aspect necessary for a single word of praise. Not recommended. 3.0 out of 5 starsWhat happened? I just received my second order of these kitchen towels. My first order was great- good color, good weight and absorption. This second order seems much lighter in weight and the material seems tougher/cheaper. I am not impressed by the quality of this order and will not purchase them again.